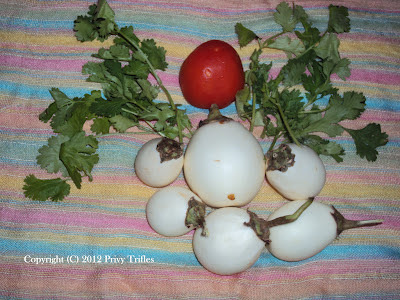 My lunch for today : I was fascinated by this white brinjals from the moment I saw them with a vegetable vendor. Curiosity made me buy them , but they taste completely the same. They looked so beautiful ; it tempted me to click one picture !